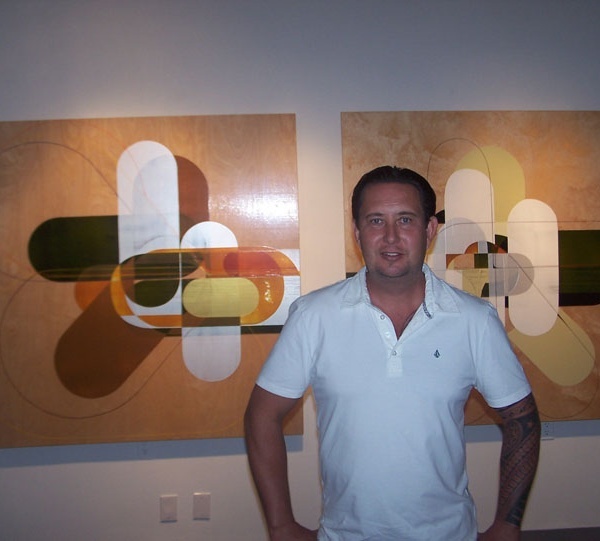 He is a Southern California abstract painter deeply influenced by the art and culture of his local community. His artistic influences include the Light and Space Movement, as well as the work of Karl Benjamin, who was Couwenberg’s mentor. 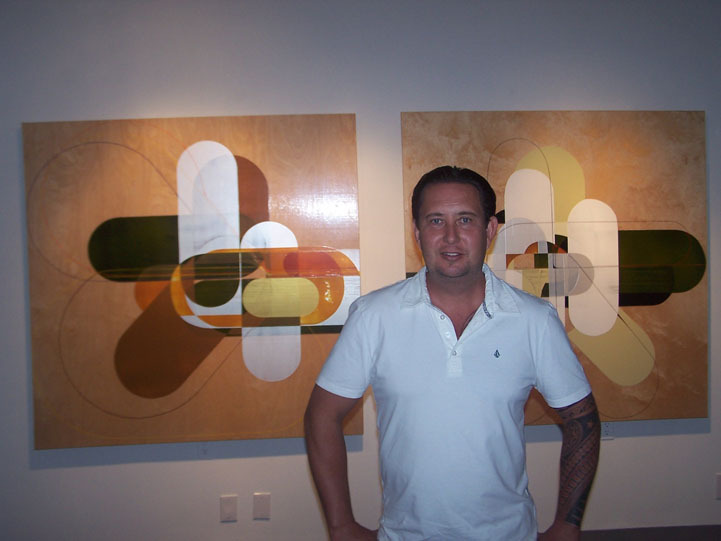 Couwenberg’s thin line patterns and choice of color are particularly inspired by surf and skateboard cultures, as well as the custom car and hot rod aesthetic elsewhere known as Finish Fetish. He is best known for combining hard-edge abstraction with gestural brushwork, layering, raw edges, and textured surfaces, thereby bringing depth and an expressionist touch to a tradition of painting known typically for its flatness.